The Gin industry, like almost any other, is subject to changes and trends over time. One such trend that I have recently noted with interest has come over from our neighbours in Spain and has been taking British gin bars and brands by storm. 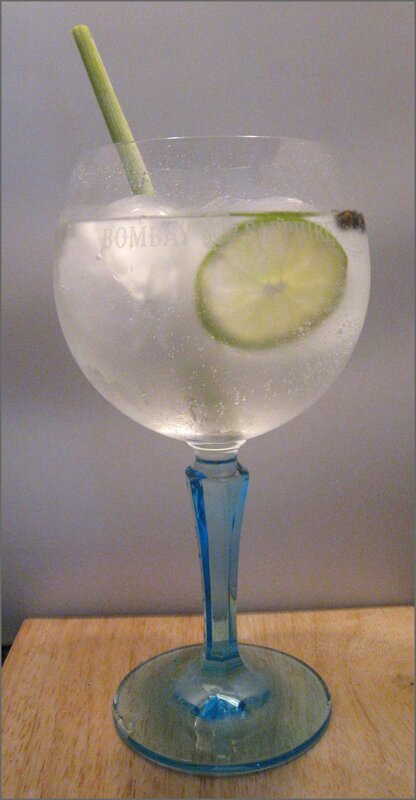 I am talking of the the Gin Tonica: the method of serving a Gin & Tonic in a large balloon glass (sometime known as a coupe glass), over either a copious amount of ice or a single, large ice ball. With some gin bars now serving all their G&Ts in this style by default and with branded glassware becoming available from many big British brands, I thought it was time to take a closer look at what some call a phenomenon and others, a craze. 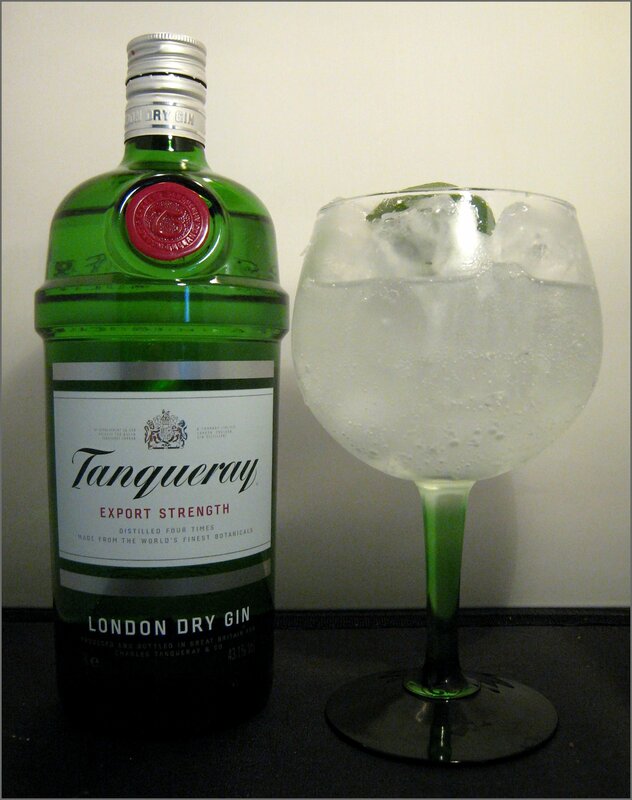 One of the purported advantages of using a balloon glass over a highball is that the drink has more room to breathe, allowing the aromas of the gin, mixer and garnish to be more concentrated and easier to enjoy. The larger glass also gives you a bigger canvas to be creative with the garnish. In addition, the increased volume of ice keeps the drink cooler for longer and helps to prevent ice melt. I’ve spoken to a variety of different brand representatives to try and get the preferred Gin Tonica serve for their gins, although some of the following are of my own invention/modification. 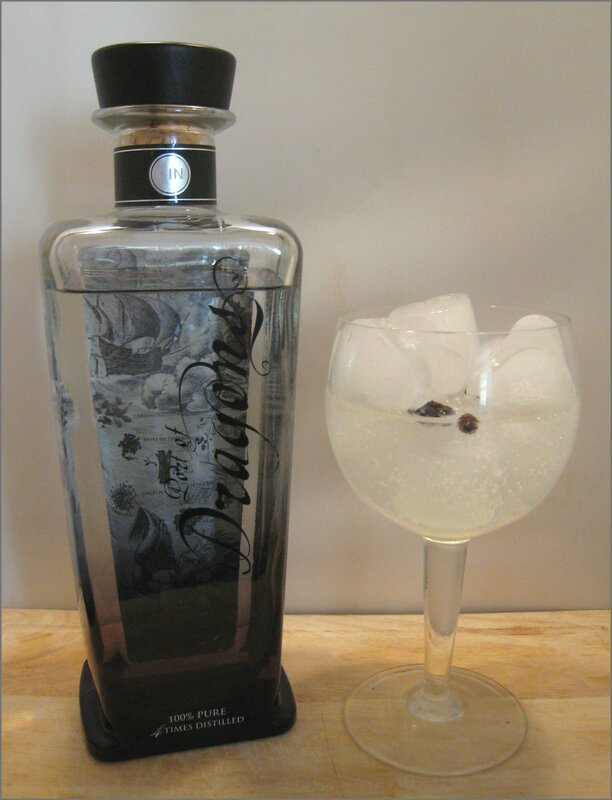 Nearly two years ago, this was the first gin that I came across that had specially-designed glasses for a Gin Tonica. Summer in a glass! A lovely fruitiness comes from the strawberries and the lime stops the drink from being too sweet. 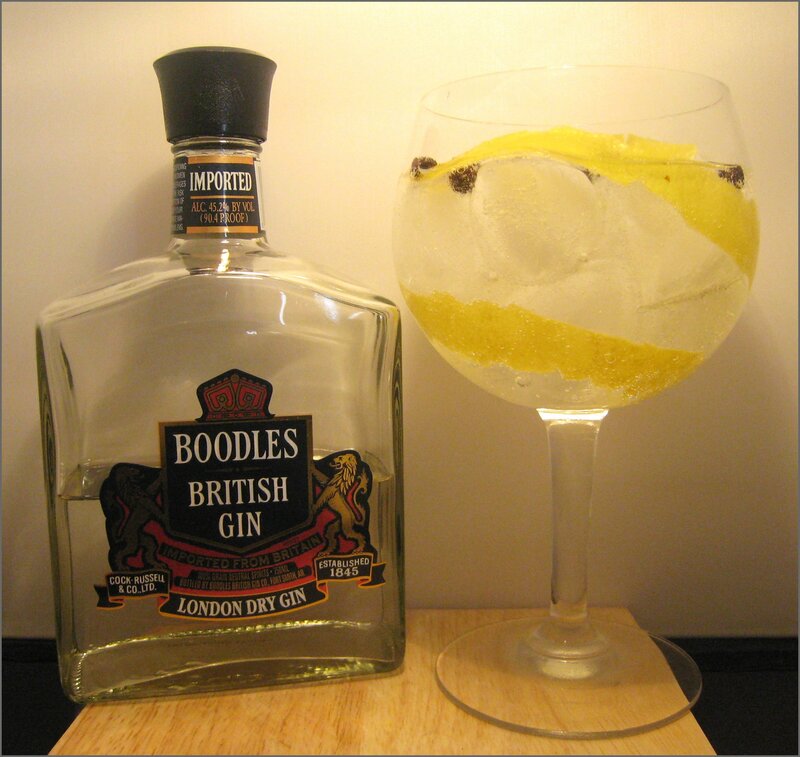 The gin contains chamomile as a botanical, which the flowers in the garnish are a nod to. They look very unusual, but I wouldn’t suggest you eat any of them; if you do, you’ll certainly have fresh (perfumed) breath. 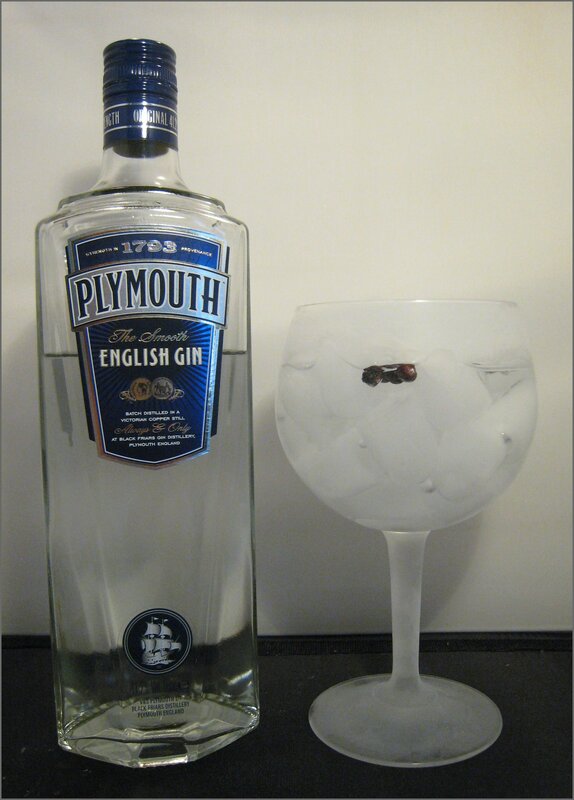 This recommendation for serving Plymouth Gin came from Spain. Although you can’t see it, the oil from the twist of lemon adds a great fragrance to the drink and gives it a little pizazz. The juiciness of the juniper berries works well with the juniper in the gin and makes that flavour seem even fresher than in a regular Gin & Tonic. This is a simple, yet effective serve and very easy to do at home (most supermarkets sell juniper berries; they can be usually be found in the herbs and spices section). This was recommended to me by Sam Carter and Sean Ware of Bombay Spirits. Balloon glass serves were an integral part of their Ginbilee Celebrations. Rather limey, notes of vanilla and coconut also come out. Definitely thirst-quenching and is a drink that could stay cold for a long time; not that that should matter, because you can finish it quickly. 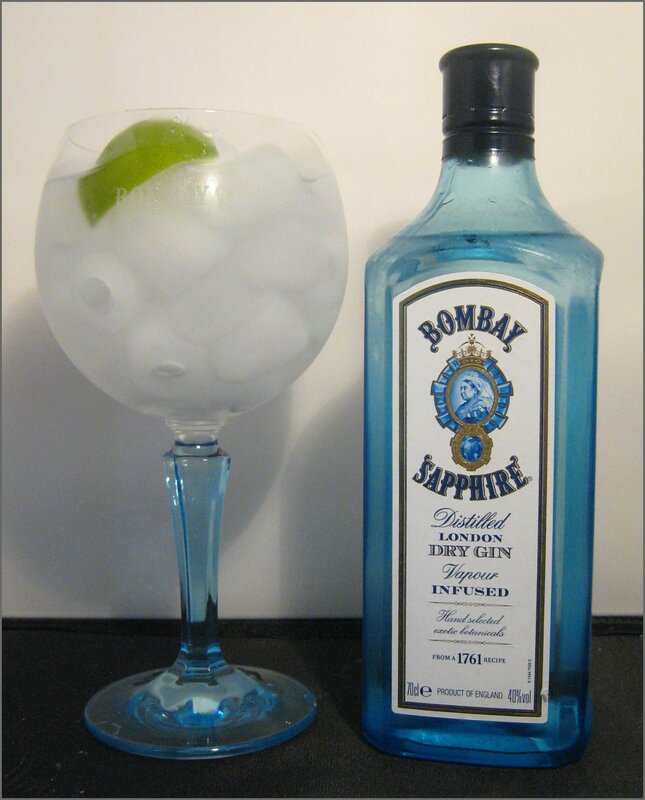 Bombay Sapphire’s glasses are also relatively sturdy, making the drink easy-to-drink in more ways than one! Fresh and zesty, with a crisp bitterness from the lime peel. Very pleasing visually, too. 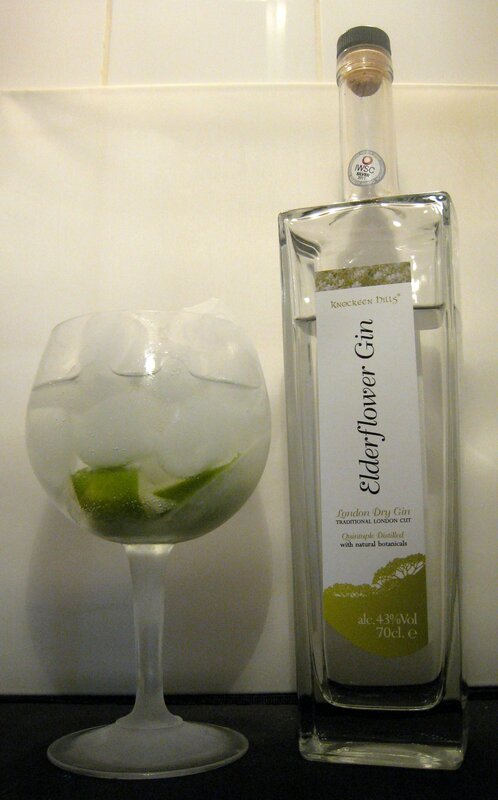 Crisp and refreshing, the bold, classic flavour of the gin creates a simple, but very sippable drink. In the Autumn of 2011, this cocktail accompanied the launch of Bombay Sapphire East in New York and Las Vegas. The original recipe specifies lemon verbena, but I had none to hand; I thought that lemongrass was a suitable substitute. The lemongrass brings out the floral citrus of the gin, whilst the lime gives it a little zestiness that contrasts well with the gin’s peppery fire, coming from the black peppercorns in its botanical mix. Very spicy, but lovely all the same. A strong & powerful Gin Tonica. Very clean, with strong juniper flavours and some earthiness. The high chill-factor from the copious amounts of ice works particularly well with this particular gin and tonic mix. The lime adds a zesty liveness to the drink for the palate, nose and eyes. It was whilst drinking the Tanqueray from the copa (balloon) glass that I realised the degree to which the glass cools down your hand and wrist, which obviously adds to its chilling effect. I spoke to some chaps from Miller’s at the recent Feather Gin World Record Event and their suggestions included lime and grapefruit (both of which work well), but I was most captivated by a recommendation to try strawberries and cracked black pepper. On paper, this seems questionable, but, in reality, it was very good indeed. 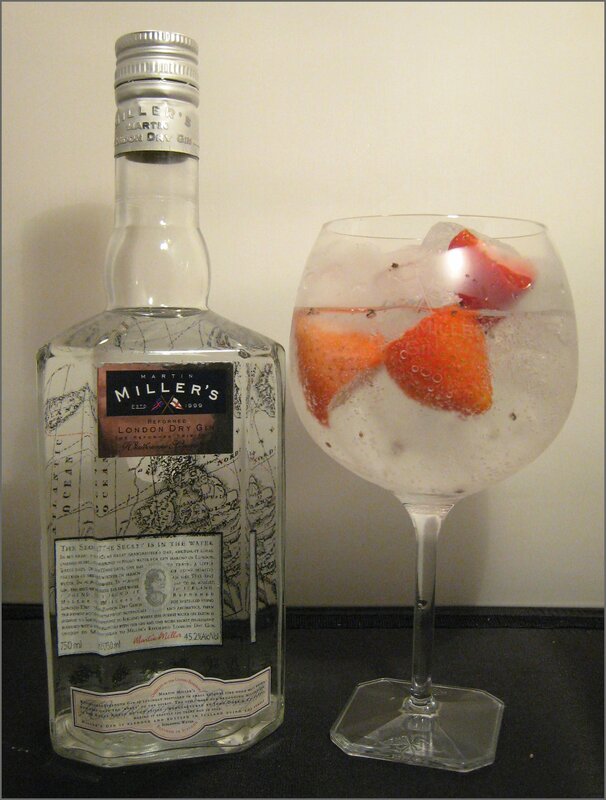 The freshness and crispness of the Miller’s gin works really well with the juicy strawberries, and the peppercorns add a contrasting savoury and peppery element. 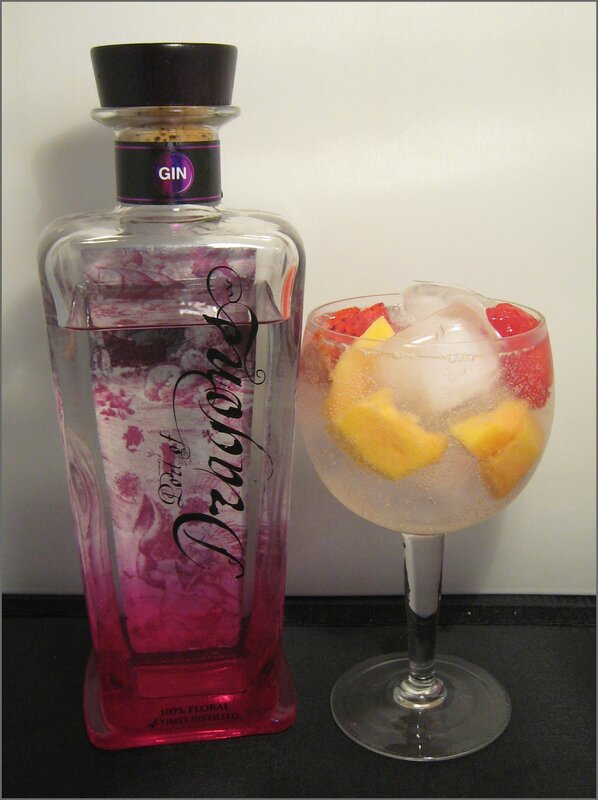 A very well-balanced drink, this is both imaginative and lovely. Quite a zesty drink, with the more earthy notes of the gin being apparent; there is a pleasant bittersweet (tonic-gin) character, making this more than your average Gin & Tonic. The zestiness stays as you sip (it starts at the bottom of the glass with the twist and gradually works its way up). The orange garnish is not essential to the flavour, but it does add visual appeal and its juicy smell provides hints to the orange in the gin. A twist on the drink outlined by Fleming in the book Dr. No, this is a James Bond Gin Tonica. Superb; this is one of the best ways there is to cool down on a hot afternoon. The lime, surprisingly, does not overpower the gin, being balanced by the slight sweetness that comes from the elderflower in the gin. Fevertree Tonic works very well in this drink, as it is clean and doesn’t interfere with the other flavours. Served in the Gin Tonica style, the drink is even colder than usual; I think 007 would be impressed. I’m a big fan of both the cardamom notes of this gin and the slit cardamom pods in this drink’s garnish, which gradually make their presence known. 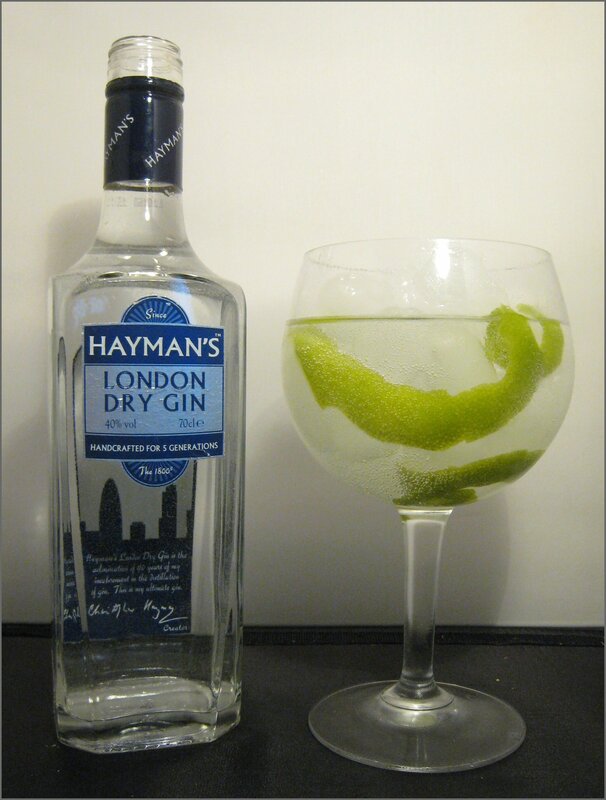 The drink is lively, with the citrus and herbal garnish accentuating the flavours of the gin. 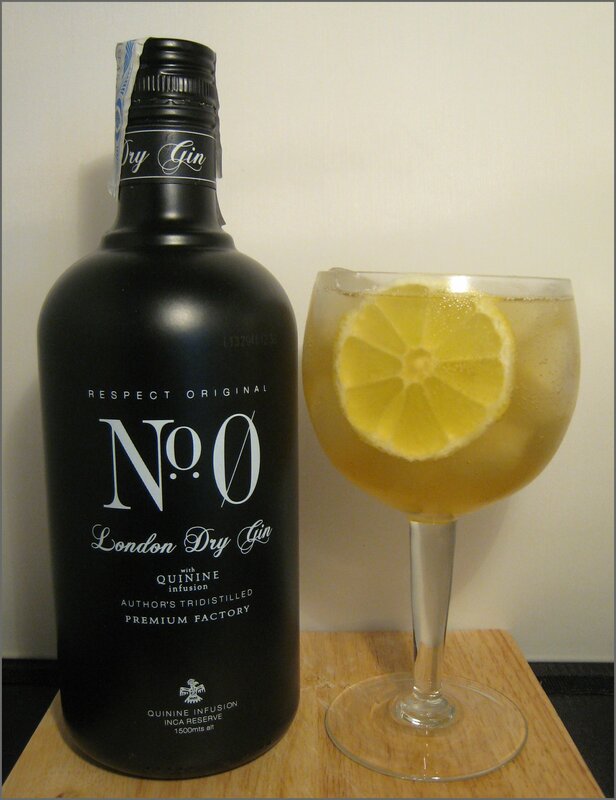 It is also quite dry and sharp for a Gin & Tonic, with a touch of bitterness, partly due to the character of the gin, but also the earthy quinine of Fevertree. You know you’re drinking a proper, adult drink without a trace of soda pop sweetness or fizziness. 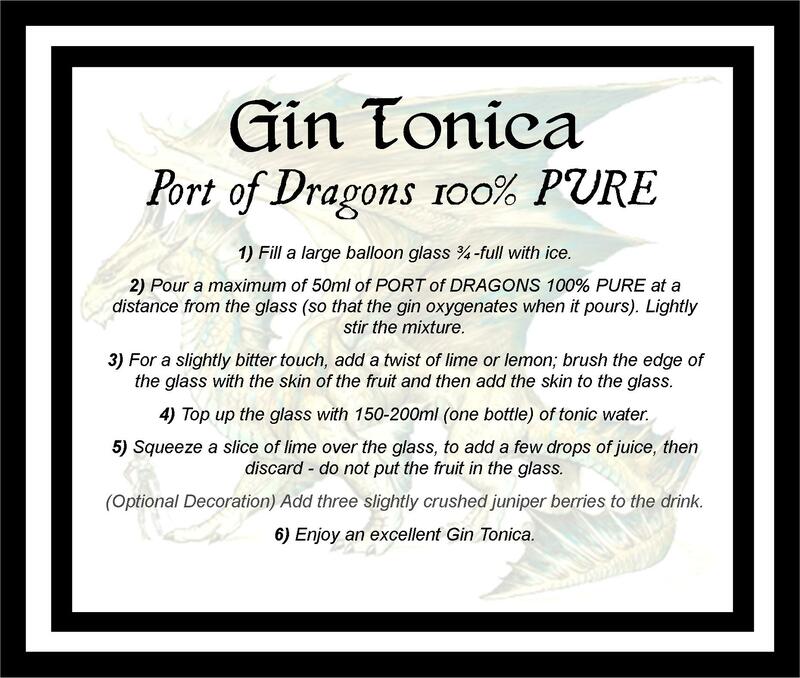 This is recommended by Port of Dragons; the recipe can be found here. This was very enjoyable: the gin seemed more lively and the tonic more crisp than in a normal Gin & Tonic. The high volume of ice helped considerably, too. The cardamom was still there, but more balanced with additional zing. Very good, indeed. 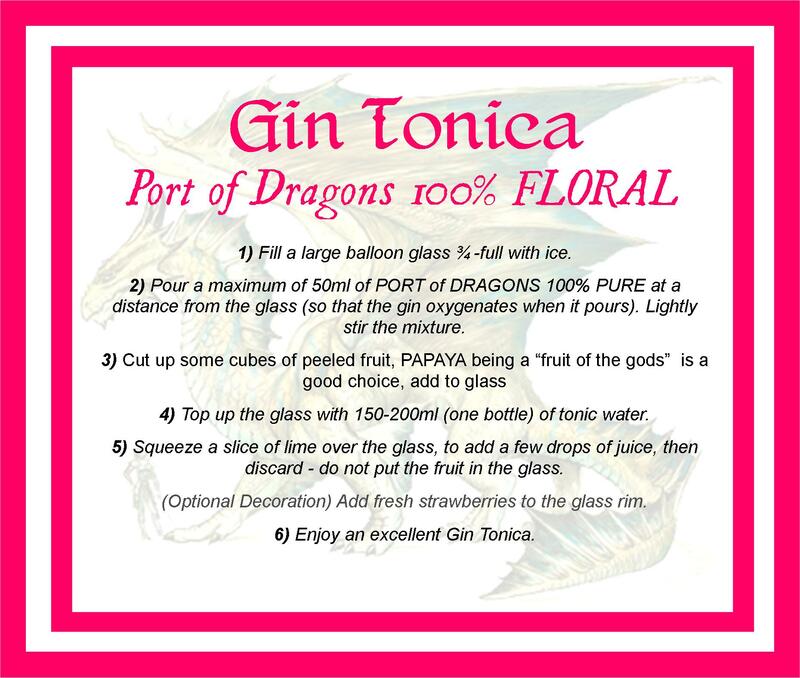 Recommended by Port of Dragons, this recipe can be found here. Fresh, floral and fruity. This was very refreshing and reminded me of a spring or summer garden. 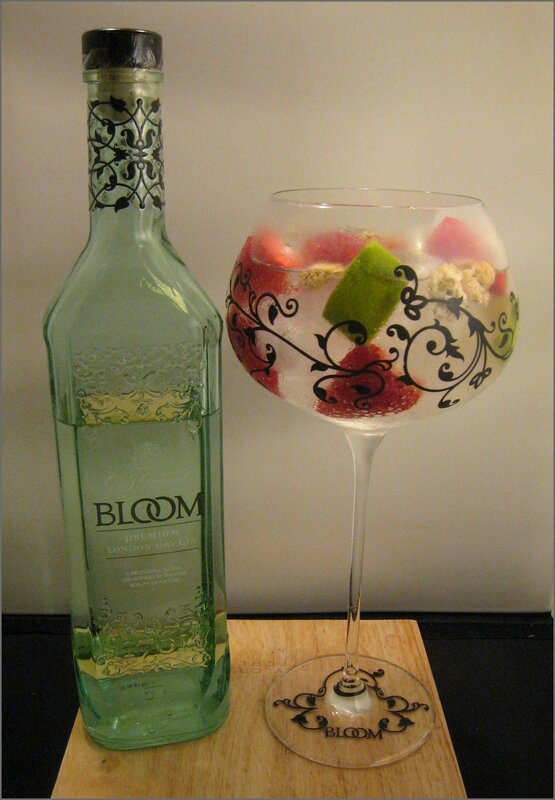 As well as being visually attractive, the flavours of the gin were really enhanced by the luscious fruits in the garnish, which are an excellent alternative to the usual slice of lemon or lime. This had a bitter, earthy start, courtesy of the quinine in both the tonic and the gin. Dry juniper notes followed, then the sweet, floral and citrus notes: lavender and violet, and, finally, the dry, slightly bitter, tannins of the tea. This was really a rollercoaster of flavours that left me rather impressed. Mrs B described it as a “Perfect combination of a Gin & Tonic and iced tea”. I’ve been researching this article for a little over a month now and the subject matter has been met, in the UK at least, with mixed reactions. Evidently, some gin folks remain sceptical about the Gin Tonica’s application in the UK and I can see why. Over the past six months, the enthusiastic acceptance of the serve has bordered almost on a craze (Bloom were way ahead of the curve), but questions have been raised on the practicality of the glassware in bars and at home (some of the glassware is very delicate). The point has also been made that few households will have sufficient quantities of ice or stocks of exotic garnishes to make the drinks at home. But maybe that is a strength of the Gin Tonica? It DOES provide folks with something that they can’t easily get at home and, as a result, it makes having a Gin & Tonic out-and-about special again and makes the experience more unique. Some folks are certainly behind it; I noticed in the supermarket (Sainsbury’s) the other day that, if you buy a 70cl bottle of Bombay Sapphire and send off the tag to a specified address, they will send you two free balloon glasses (they are good and sturdy, too). One London Gin Bar have even switched to serving all of their Gin & Tonics in balloon glasses by default (you can, of course, request a highball or tumbler if you’d prefer). 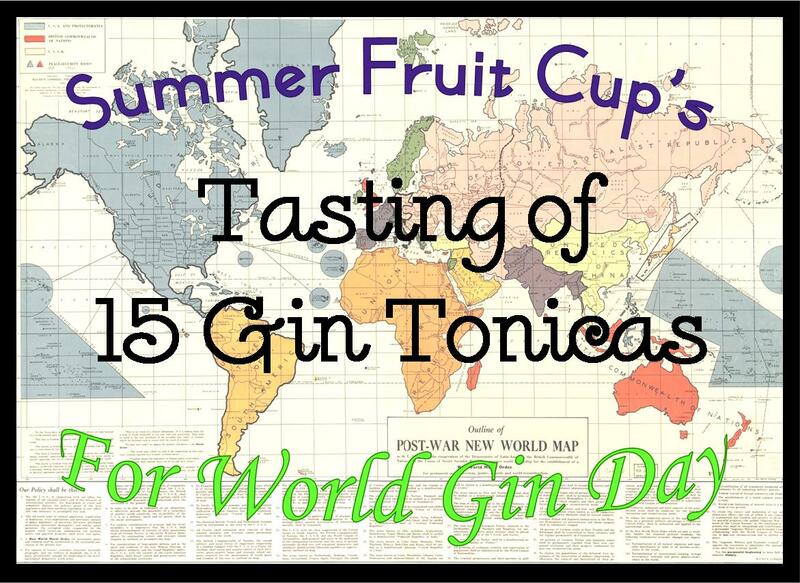 So is the Gin Tonica a fad? I don’t think so. It’s done well in Spain and I think that, in the high-end gin bars, this serve could become a star, particularly with some more imaginative garnishes. For folks drinking at home, I’m not so sure that it will become commonplace, but the glasses are certainly talking points (so long as they don’t break!). The sharp-eyed amongst you may have realised that I have only covered fourteen Gin Tonicas. Number fifteen is a bit of a wildcard and has been included because I have drawn a similarity between this new way of serving Gin & Tonic and the old 1970s, English-pub style. Notably, both are served in wine glasses (big or small), rather than tumblers. 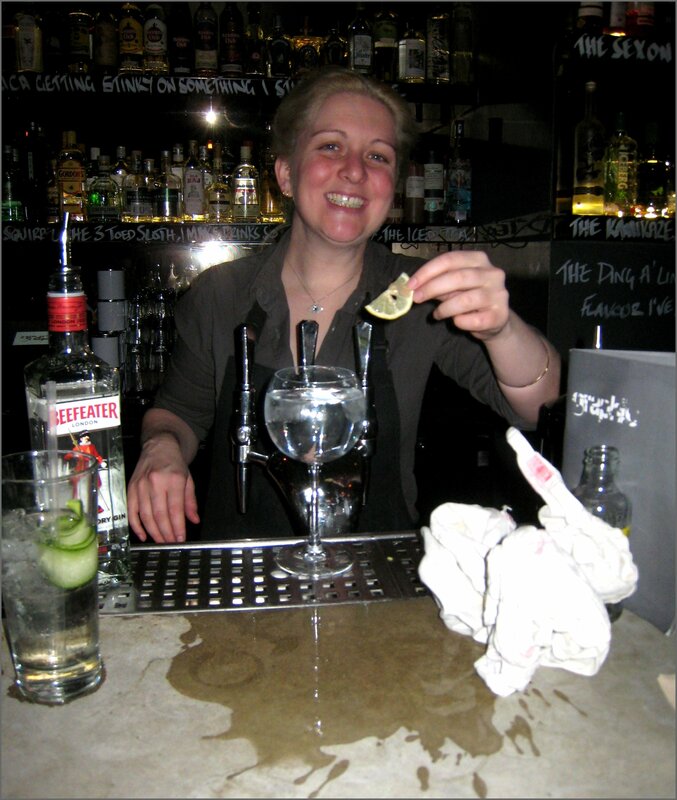 Sarah Mitchell, The Modern Madame Genever, was kind enough to provide a recreation. 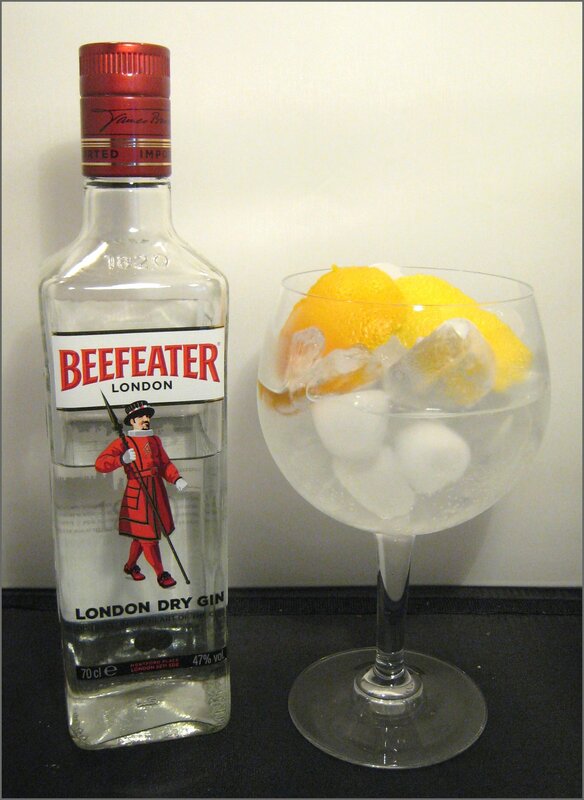 50ml Beefeater, one can of Britvic Tonic (preferably at room temperature and slightly flat). 3 pieces of partially melted ice. Add ingredients to a large, smeary wine glass with a wafer-thin slice of 3-day-old lemon. Serve on top of a lager-stained bar top. This is the complete antithesis of the other 14 drinks that we have featured today, with quality not being key to the drink, but – perhaps it’s Sarah’s impressive mixing ability, or the use of a good quality gin – this was not that bad and, I’m afraid to say, was still a far cry from the worst Gin & Tonic that I have ever had. This entry was posted in Vintage Cocktails and tagged balloon, Baloon Glass, Beefeater, Bloom, bombay sapphire, bombay sapphire east, boodles, Coup Glass, Gin, GinTonica, Hayman's, ice IceBall, knockeen hills elderflower, Plymouth, Port of Dragons, Serve, spain, Spanish, tonic by DTS. Bookmark the permalink.